Copyright © 2019 The Book Nook . 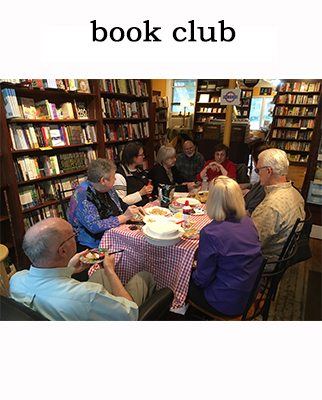 A group of intrepid readers meets the last Wednesday of the month to discuss a non-fiction book. We chose non-fiction to differentiate the books we read from the plethora of mostly fiction based reading groups in the area. Discussions start at 6pm. We gather around a table with some snacks and drinks and discuss the book. We appreciate if you RSVP that you are coming so that we have enough snacks. 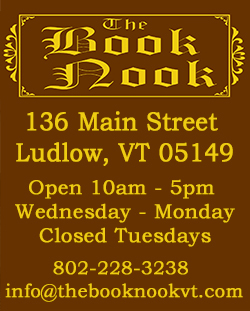 Please send email to scott@thebooknookvt.com to RSVP. Feel free to bring your own snacks too! Physical copies of the books can be purchased at a 15% discount here at the store. Once we get organized we will offer something for online sales of books (but not ebooks). Scott generally selects the books with input from the group (so if you have a great read to recommend for the group, send email to scott@thebooknookvt.com). We tend to read things in paperback that are not more than 450 pages. We have considered dabbling in novels about real people or autobiography masquerading as novels, but we have not done so yet.